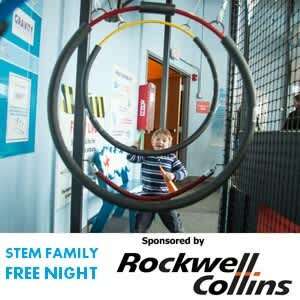 Admission is free to all visitors from 5-8 pm the last Friday of every month sponsored by Rockwell Collins. Help solve a unique STEM Challenge in the STEM Studio focused on STEM problem-based learning. “STEM literacy is a person’s ability to apply his or her understanding of how the world works within the areas of science, technology, engineering, and math. It does not simply mean achieving literacy in these areas individually. 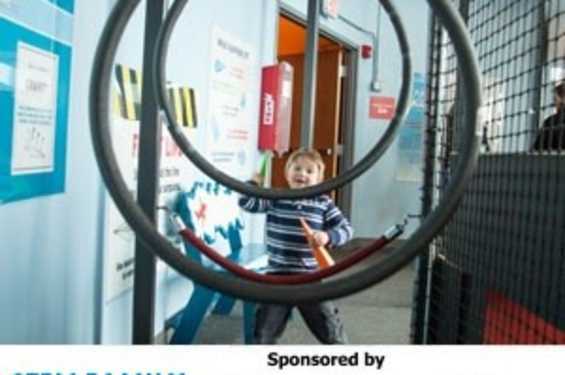 Rather, STEM literacy refers to the ability to investigate and question these facets of the world in an interdisciplinary manner.” – adapted from the 2011 Iowa STEM Roadmap: A Strategic Plan for STEM Education.